You are invited to come out and have a family day filled with fun and activities. There will be games, pop corn, snow cones, and a balloon artist. 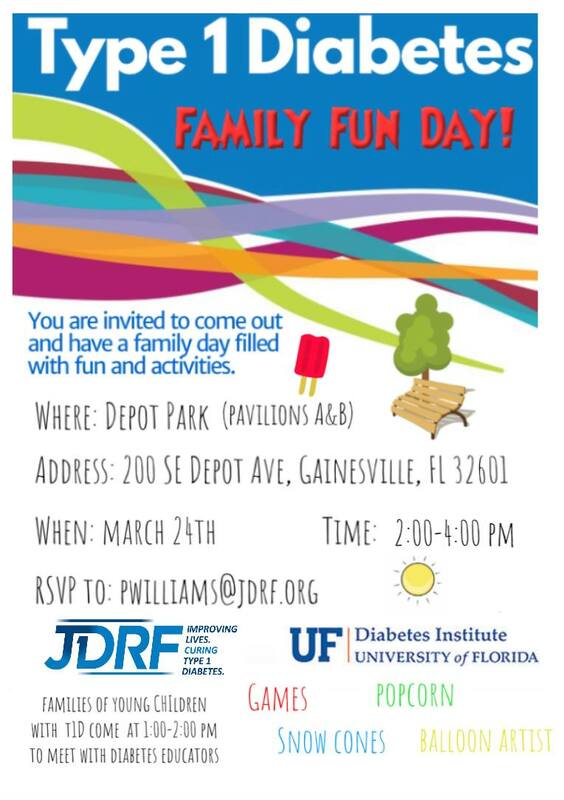 Families with children ages 1-5 years old with T1D, come at 1:00-2:00 pm to meet with diabetes educators.